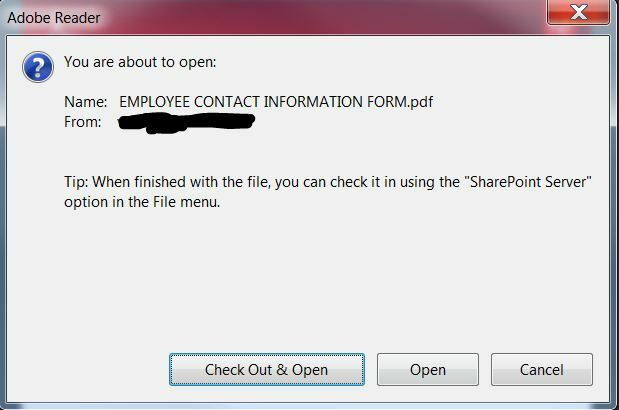 After learning to clean the sharepoint cache hardway, I have come up with basic commands, that would help all of who needs to get this done in easier way, below is the script, you can cut and paste it on to a notepad, save the file as clearSPCache.bat file and place it on the sharepoint server, when you execute the file, it will clean the sharepoint cache for you with one click. (assuming your sharepoint is installed in default locations as per microsoft). The easiest way to change your favicon in SharePoint is to replace the default one with your own. This requires you to modify your masterpage just a bit. It's minimal. This will only allow users with Full Control to see the Ribbon.